On a lightly floured surface, roll out the dough into a circle (approx. 35 cm in diameter), place in the prepared tin. Prick the base firmly with a fork, chill for approx. 15 mins. 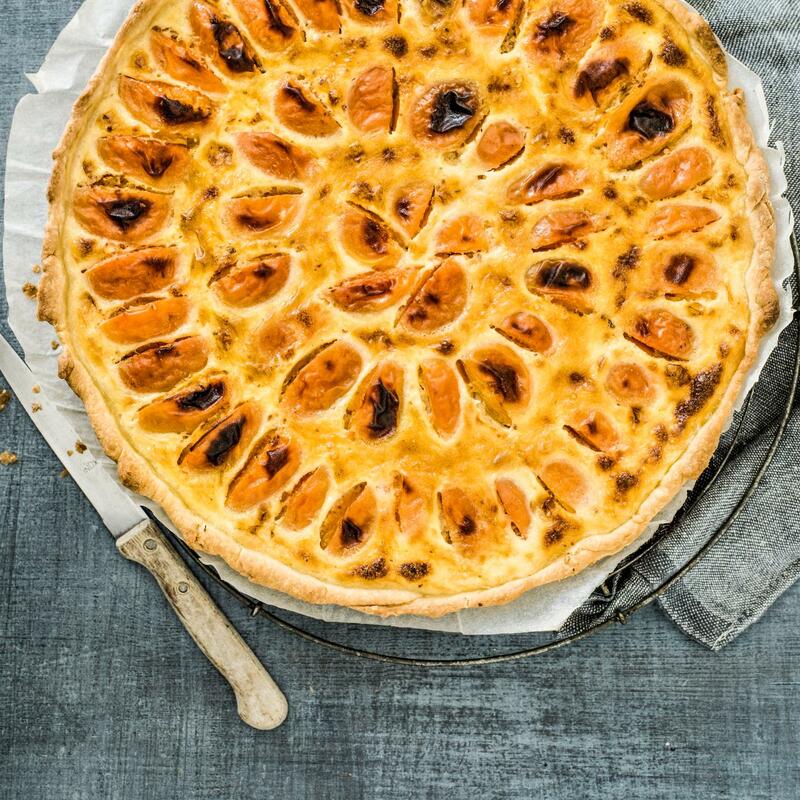 Scatter the almonds over the pastry base, arrange the apricots on top so that they overlap. Whisk together the cream, eggs and sugar, pour over the apricots. Approx. 45 mins. on the bottom shelf of an oven preheated to 220°C. Take the flan out of the oven, allow to cool slightly, remove from the tin and serve lukewarm or cold. Instead of apricots, use sliced apples, pears or plums, or pieces of rhubarb.